Saturday December 16, 2017 – What You Drive Is Not As Important As What Is Driving You! “Hey driver!” echoed a female voice blended with so much pride and pomposity. The driver stopped, half intimidated and half excited. He hadn’t been hired by anyone since morning and has actually been just moving around in one of America’s busiest city, New York City to be precise, under the freezing snow with a keen eye for a prospective passenger. His short acquaintance and garrulous passenger indicated some luggages that she will want to lift up in the boot of the car. Within some few minutes he has handlifted some stuffs that seems to be ‘heavy weight’ into the taxi car. He opened the passenger door to his high socialite customer and quickly hopped into the driver’s seat. He adjusted the wind mirror and ask his temporal ‘boss’ the point of destination, “New York Botanical Garden”, replied the lady offishly while enjoying the swift ride. He negotiated a bend in one of the streets in Bronx for an onward journey to one of the best botanical garden in the US that features a landmark greenhouse with rainforest and cactus displays. The rest as they always say is history! Well, this was Mike Adenuga some years back, nothing has actually change much because the man that eke out a living from moving passengers to their destinations is now saddled with an empire that is somewhat driving Nigeria and Africa to their mobile destinations through the glo mobile network! A look at the unassuming and mega entrepreneur, shows that Otunba, as he is fondly called in his cliché and the ‘brand’ name Chairman by his numerous employees has driven the mobile network communication in Nigeria and Africa glowingly beyond competitors’ imagination. The ultimate discovery in life is understanding who we really are and the things that drive us. When a man is driven by vision and values, the world will open doors for him where hitherto there were walls. It is not a sin to start small, but it is a sin to remain small. From his humble beginning as Taxi driver and a security guard in the United States, the man famously referred to as ‘’The Bull’’ now sits atop multi-billion dollar business empire spanning telecoms, energy, and real estate. Adenuga once said that making money is not his goal but affecting the lives of Nigerians positively. This authentic drive to always add value to people’s life has been the core reason behind his success story and most probably the impetus behind his workaholic nature. Who will ever imagine that the ‘once upon a time’ taxi driver and security guard is now one of the business magnates in Nigeria that drives its economy? Life is full of people that made impact through their inner drive to becoming problem solvers. What drives you will determine how far you will go in the journey of life. People don’t get to their destination in life because of what they are driving but rather because of what is driving them. I want you to look into the mirror and sincerely ask yourself that life-changing question: What is driving me? What drives you matters! Alexander Graham was consumed with the drive to end communication barrier-he invented the telephone; Alexander Fleming was full of rage to ending the raging pang of pneumonia-he invented penicillin; the Wright brothers’ drive for air travelling was so undaunting that they invented the airplane; Thomas Edison believed strongly that the world could be brighter at night-he invented the light bulb; Nelson Mandela’s undying drive to end apartheid in South Africa saw him go through one of the most traumatizing experience, but at the end, he triumphed gallantly; Rosa Parks and Martin Luther King Jr. were driven to breaking points in their bid to end racism in America, but they never gave up; Funmilayo Ransome-Kuti was a firm believer that women are no lesser being and ultimately became a pioneer of women’s suffrage movement in Nigeria. There was a time when women were not allowed to drive, vote or even bail any member of their family in Nigeria, but a woman stood against what she knew was wrong. 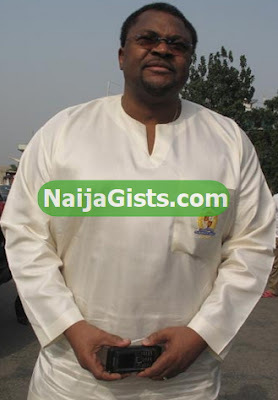 Micheal Adeniyi Ishola Agbolade Adenuga(Mike Adenuga Jr. ) was born on April 29, 1953 in Ibadan, Western Nigeria. He is a Nigerian business tycoon, a firm believer in the Nigerian Project and he is regarded as one of the richest black people in the world. He owns Globacom telecommunications and an oil exploratory firm, Conoil. He is the second richest man in Nigeria with a fortune estimated at $5.1 billion (as of 12/13/17) according to the Forbes’ World Billionaires ranking. Mike Adenuga, a man with humble beginnings, received his secondary education at the Ibadan Grammar School. He worked as a taxi driver to fund his University education. Adenuga graduated from North-western Oklahoma State University and Pace University, New York with degrees in Business Administration. He founded the first indigenous oil company upon the reception of a drilling license in 1991. Conoil Producing Limited made history when it became the first indigenous company to strike crude oil in commercial quantities. He was issued a conditional GSM license in 1999 after which he received a second one in 2003. On the 29th of August, 2003, Globacom launched a brand new identity with the pay-off “Rule your world”, a rallying slogan for catalysing commitment to the company’s corporate vision and a clarion call to Nigerians to take their destiny in their hands. Mike’s patriotic adoption of the nation’s green and white colours for Globacom speaks volume on his deep yearning to see Nigeria attain its rightful position in the comity of nations. Globacom is the second largest operator in Nigeria with 36 million subscribers! 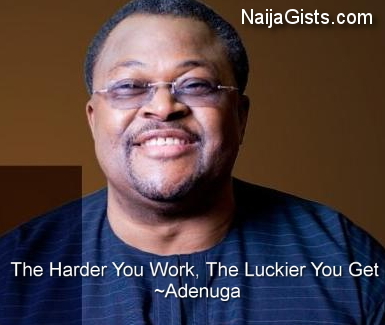 Through his dint of hardwork and entrepreneurial audacity, Mike Adenuga has taught millions of Nigerians how to create and rule their world. Mike believed strongly that it is our ‘sacred’ responsibility to rule our worlds or else, someone else will. The serial entrepreneur and business tycoon launched a foundation in his name to focus on entrepreneurship development, education, health, and rural development. One of the programmes offered by Mike Adenuga Foundation is the Mike Adenuga Fellowship Programme. The foundation award undergraduate scholarships, post graduates and research fellowships, to educationally gifted Africans who desire to contribute to the development of the continent, and who have the potential to become innovators and development drivers in their chosen fields. He was named African Entrepreneur of the Year at the maiden African Telecoms Awards (ATA) in August 2007. He received the second highest Honour award by Nigerian Government in Nigeria in 2012 as Grand Commander of the Order of Niger (GCON). You increase your chances at luck by working hard. Most youths of nowadays are driven by trivialities of life and are too mundane to see the bigger picture. Life is too important to build it around fancy cars and mundane things. When a man is driven by values, things of value will ultimately come to him. I want to reach out to the Nigerian youths to re-prioritize their priorities. The world is moving so fast that it is only people that are driven from within that can catch up. While youths in other parts of the world are developing apps to solve problems, an average Nigerian youth is thinking only about salary, buying a new car and holidaying away in Dubai!. It is such an appalling fate that has befallen the African youths. What problem do you want to solve in Nigeria and the world at large? Don’t waste your creativity and ingenuity; stop squandering and philandering your youthful energy on worthless ambition and adventure. Finally, to all the young ladies out there, don’t marry a man because of what he is driving, marry a man because of what drives him. Don’t marry a man because of his big television! Marry a man because of his big vision and a man with a big vision will ultimately put you on television!. Life has many lessons to teach us but the one I would want you to take away from the life of Mike Adenuga is this: Don’t EVER judge a man by what he is driving, judge him by what is driving him! May God bless this writer with more wisdom. can you please write more articles of dis nature, I wish it is longer than this. Thank you for the feedback and prayers! You are blessed already Mr Adebambo. Those that live for others to live dont die, they live on after their assignments here on earth (just like Paul, Jesus christ etc..). 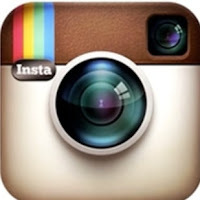 I have followed your post with diligence and commitment every week. This is not a write up but EPISTLE. Please dont stop, keep on firing on. Please is there a way you can circulate this epistle for African youths to read? Every Nigerian youths who run after wealth need to read this. I wish there is a way this can be circulated on Twitter. Sometimes luck and time are more important than who you are. Majority of American billionaires are beneficiaries of luck and time. When you are lucky, you will meet the right people at the right time that will enhance what you set out to achieve. Opportunity does not present itself similarly for everyone, but when it does, only the ones with highest influence live to sweet-talk about the journey. Hmmm….true! Thank you for your contribution. Wow! This is very interesting article, I never knew he was once a cab driver or a security guard, may God bless all our hustle.